I was banned from Twitter, so I can not post the real post, because I no longer have access to the codes. So I can only this screen shot. 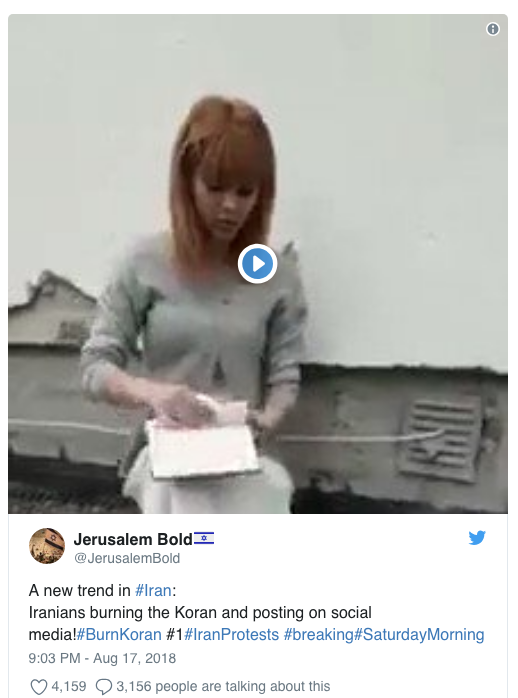 Watch, Twitter will suspend the accounts of the oppressed Iranians who are burning the Koran.